Replacing all lightbulbs with LED lights. Reducing our night sky pollution by installing motion sensor lights around all buildings and docks. Recycling of all aluminum, cardboard, newspaper, plastic, office used products, used oil from the operation of our boat motors. JLB transports recyclables in a special trailer from Jenny Lake to the recycling center and recyclables are always out of reach of animals. Eliminating single-use plastic water bottles. 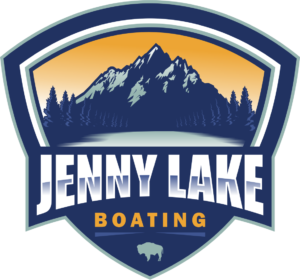 JLB was the first concessioner in Grand Teton National Park to sell only reusable, biodegradable water bottles. Visitors can fill bottles at both East and West docks with water. Purchasing of environmentally friendly products for cleaning of the boats, cleaning of facilities and office operations. Eliminating unnecessary “social trails” and reforesting the areas around those trails. Using hand stamps instead of paper receipts for shuttle riders. Send receipts by email or text to eliminate paper receipts. Eliminates single-use products in our employee kitchen and lounge. Use of reusable dishes, silverware, cups, etc. No idling of the boat motors to prevent air pollution.